You were born in New Zealand. But you have lived your adult life in Europe and Australia. Does that make you a New Zealand writer? I am a third-generation New Zealander and my parents were enthusiastic New Zealanders proud of the social justice values then prevalent in their country. So I grew up feeling pride in my country and lucky to have been born there. And I was shaped by it in at least two obvious though contradictory ways. New Zealand gave me the crucial belief that “anything is possible” – which is part of the self-made culture of a newly settled country. On the other hand, it also taught me that it can seem a little dangerous to put your head up too high. I have continued to “put my head up”, but often with painful self-doubt about the consequences. Nevertheless, the country of your birth exerts a huge influence. Those internal and external landscapes will be vivid for me always. My feelings about New Zealand, and what it was like to grow up there, are most explicitly expressed in my first novel Running Backwards Over Sand. I give retreats regularly in New Zealand. That has been a wonderful way to connect with what I feel literally to be my “mother-land”, while also loving and appreciating Australia, so much so I am now a citizen. Varied. I am probably most influenced by having come of age, in Europe, at an exceptionally potent moment in history. In 1968 I turned 21. I had already traveled briefly in Asia, spent some months in Israel, and was living in London. The world was turning upside down as women’s and civil rights issues, peace and environmental issues changed the way great numbers of people were thinking. I was entranced by the excitement of that – and by how those crucial issues interconnect to shape all of our lives. It was like a conversion experience – it was that dramatic! In my adult life I have continued to be driven by that quest to put things together: to make sense of things in relationship to each other. For most of my adult life now I have been passionately and increasingly interested in ethical, social, psychological and spiritual questions – and in understanding how deeply these are interconnected. And how much we benefit when we begin to grasp those interconnections. In terms of contemporary writers, I probably read more American writers than any other. Yet those years of living in Europe certainly shaped me and very much influenced the way that I now write. But those ideas “acted on” someone who was not European; who was not American; who felt entitled to move freely not only through several different cultures, but also across different traditions and times. That freedom is itself highly significant. Did you want to be a writer as a girl or young woman? No. I had no models for writing as a career although my parents both wrote well and my mother also painted. Writing was not then a career in New Zealand! As a girl I had vague dreams that I might study medicine and I sometimes wish that I had indeed done so – not to practise medicine but as part of my life education. However, my life was shifted on its axis when my mother died when I was eight. My sister Geraldine was eleven. My father then became a Roman Catholic; we did also. My father remarried. I missed my mother utterly – but for many years in a state of numbness that significantly detached me from my own life. I have expressed some of this too through my character Zoe Delighty, in Running Backwards Over Sand. So I wasn’t in a good frame of mind to make sensible decisions. I left school too early [at 16]; went to university, but also worked full-time and studied the wrong course [law] in an incoherent, pre-feminist urge to avoid the obvious “girl” choices. Three years later, I began working full-time in the library at Victoria University of Wellington. I had a wonderful boss – Cath Bishop – who recognised that I needed to be up and away. And later that year I had saved enough to set out on my own. Yes. And terrified. But also determined. Maybe it was then, though, that I discovered what an illusion it is that we have only one state of mind at any time. That’s a rare experience actually. I was determined, and that kept me going. But my fear also meant that sometimes I made appalling decisions and mistakes. Yet the determination was also always present. Was I a bundle of contradictions? Yes. Me, and the rest of humankind! Who were the key people for you in growing up – or growing into your intellectual life? I had a tough-minded clever teacher at my totally ordinary Catholic girls school. She set me up very well academically and also was my first genuine spiritual inspiration, even though she was also a complex and difficult personality. My father was also academically demanding. Reading has played an immeasurable part in my life. So I was certainly influenced and educated by the writers I admired most: Virginia Woolf, Katherine Mansfield, Doris Lessing. Later on it was the writers and founders of “the British school” of psychoanalysis (object relations theory) – people like Winnicott, Fairbairn and Guntrip – that most affected my thinking. I owe a debt also to Jung – although I am not a Jungian. And to wonderful Roberto Assagioli, founder of psychosynthesis. Later still, to teachers like His Holiness the Dalai Lama, Dom Bede Griffiths, William Johnston, Andrew Harvey, Joseph Campbell, Piero Ferrucci, Hazrat Inayat Khan, Viktor Frankl, Swami Chidvilasananda [Gurumai] and over the last decade none more so than the Venerable Thich Nhat Hanh. Women – and then men? Not quite that extreme. 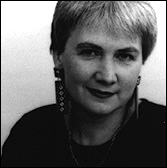 I was hugely caught up with female and then feminist writers in the 1970s and 1980s. 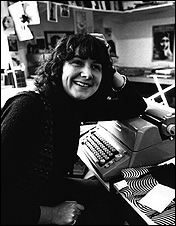 I was also publishing many wonderful women writers in the years of being at The Women’s Press. I continue to read women now – many women – and I certainly read male writers then too! But the focus of my reading has shifted: it’s now less “political”, and much more personal and spiritual, but always, always with the same degree of interest in the kind of society we are creating through our attitudes and actions. Are you ever going to grow out of being idealistic? You have been a publisher, then you became a writer. Was that an obvious journey? Not to me. I was a happy, dedicated publisher. By the time I started in a rather lowly position at George Harraps in London in 1972 I had already been in the workforce for 6 years but was only 22. That gave me advantages. I was absolutely determined to do well. I was determined I could not tolerate another moment of boredom. I am easily frustrated. Especially in situations where I am doing something that marks time or with which I can’t fully engage. I’ve already talked about this so much in my life. Very briefly: my New Zealand background served me well. I could be somewhat guilelessly pushy in a profession that was not, then, much inclined to push; on the contrary. I went from Harraps to New English Library. I moved within the space of a couple of years from being an editorial assistant to Managing Editor of both the hardcover and paperback lists – Managing Editor would now be called Publisher. It seemed exciting to me, but not impossible. I really did have a taste for this work and I could work hard. Did you also play hard? Yes. “Those were the days, my friend, we thought they’d never end…!” I had a long relationship with a German painter, Klaus Endler, who wasn’t painting then. He was studying philosophy and talking politics. We are all so old now I don’t think he will mind my mentioning his name. But although we met in London he lived in Germany mostly, and apart from less than a year in West Berlin, I went on living in London. Would we have survived had that not been the case? I don’t know. What I do know is that some relationships are exceptionally precious – and don’t need to be lifelong in order to be so. Or don’t need to continue in the same form throughout a lifetime. I have been blessed with several precious relationships in my lifetime. When did you begin The Women’s Press? From New English Library I went to Triad Paperbacks, a new enterprise being set up by three leading literary publishers, Jonathan Cape, Chatto & Windus, and The Bodley Head, with Granada Publishing. It felt like a great prize to get the job of Editorial Manager, and I did learn a great deal – especially from Tom Maschler and Norah Smallwood, two of the luminaries of British publishing. But I couldn’t do enough original publishing there and that’s what I loved. So that led to The Women’s Press? Indirectly. The founders of Quartet Books introduced me to Naim Attallah who had recently bought that company. 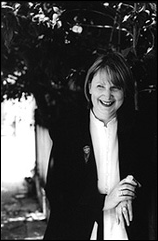 Virago had been part of Quartet but had gone off on its own. Feminism was bubbling. And when I met Naim he and I fell instantly in love – not romantically – but entrepreunerially!! He backed me and The Women’s Press came into being. I remember so clearly leaving the office Naim then had in Knightsbridge and walking along the crowded street feeling appalled at what I had agreed to do – start a publishing company – and also totally, totally excited. It was a peak moment! Can we to go back to why you became a writer. I’d written a couple of books when I was at New English Library. I did them for no greater reason than that I needed to earn more money and that I could. And in fact they did allow me to buy my first flat – in Ladbroke Grove, then a rather grotty but lovely area of London. I discovered I could write to order. Writing out of a passion or with a really demanding subject matter was no part of my vision. I wanted only to succeed as a publisher. However, during those early years (1977-1981) at The Women’s Press I was also studying very hard. I had become extremely engaged with what psychotherapy could teach me – not only about myself, but about the human condition more broadly. Why do we behave as we do, think, feel and act often so far against our own best interests? I was absorbed in psychoanalytic theory at least as much as in the process of my own analysis [which I actually regard as having been very unsuccessful]. Here was something that absolutely gripped me intellectually; I couldn’t learn enough. I didn’t immediately think about becoming a psychotherapist. I was studying for my own education. I did a number of courses, some useful, some less so. What I eventually studied most intensely and with most interest was Psychosynthesis, the therapeutic approach that was developed and refined by Roberto Assagioli, almost a contemporary of Freud, who had died in 1974. It has stood me in great stead. It is still in key ways the foundation of my own practice as a psychotherapist. This approach respects and responds to the existential and spiritual questions that are so much part of our lives, yet so little or so awkwardly acknowledged within most psychotherapeutic frameworks. It also speaks directly to the strengths within a person, and to their creativity. Like Quaker teachings – or, indeed, all wisdom teachings, it is unfailingly respectful of human beings and their drive to discover meaning and live with integrity. In the late 1970s- early 1980s I was tremendously attracted to Psychosynthesis yet was also still very caught up by psychoanalytic theories and other more overtly political analyses of human behaviour. It was an exceedingly rich time for me, not easy by any means, but I was growing fast. Then in 1981 I had a series of dreams that indicated to me that I was in for a period of real change in my life. The upshot of that was the idea I had – almost like a vision – for Intimacy & Solitude. As a publisher, I was used to giving my ideas to other writers. Intimacy & Solitude was a project I didn’t want to give away. But if I were to keep it, then I would have to write it. And this wasn’t a book that could be written while I had a fulltime, demanding publishing career. I would have to make a real change. So I gave up being Managing Director and working full time at The Women’s Press – and I left London also. I felt that I couldn’t leave The Women’s Press and stay in London; I was too involved with it. Probably over-involved. I went to Sydney for a six-month visit to begin to prepare to write Intimacy & Solitude. Yes. And with high hopes. But when I got to Sydney I was very distracted. This was almost the first time since I was 16 I had not been working full-time. I was 33. I wanted to write a great book and I couldn’t even begin. To avoid my own thoughts, I went to parties. And lay on the beach. And played with my sister’s two young sons. Then gradually I began to read intensely again. I read all of Anais Nin’s diaries, for example, and much else besides. And then I started to write in a small, silk covered diary. (I wrote in ink, by hand.) What I was writing was not Intimacy & Solitude. It was the beginnings of Running Backwards Over Sand. That book had to be written first. I finished it in 1984, a few days before my second child, Kezia, was born. In the meantime I had gone back to London for a year, gone back to the Press in a part-time and rather unhappy capacity, kept writing, sold my house in the East End of London, become involved with my children’s father and returned to Australia. A few months later, I had one gorgeous baby, my son Gabriel, and just over a year later, my beautiful daughter Kezia was born. My entire life changed. Can you say something about becoming a mother? It is the most important thing that ever happened to me. The hardest, the most tender, the most beautiful. Utterly life-shaping. This was far more demanding than setting up a publishing house! Or writing a novel while moving countries and making a living doing this and that. 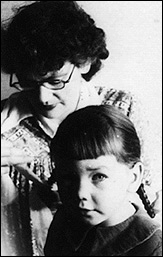 When the children were tiny I missed my own mother so acutely that it was almost like having a grief breakdown. 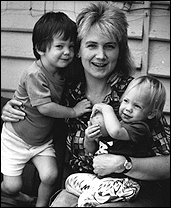 But still for me it was life saving to become a mother and to know my children. Nothing has taught me more. Nothing has given me greater joy. Being a mother is my greatest achievement, for all the ways in which I could have done it better, I never gave it less than my very, very best. Why did you go to live in Sydney? Why did you leave London? Instinct, I think. Though for years I missed my friends so badly. And I missed anyone knowing me as the funny, extravagant, extroverted person I had once been – and not an earnest, exhausted mother! I am glad now, but it took a long time. It is hard to be a newcomer. I have lived in several countries: New Zealand, Israel, England, Germany, Australia. You leave a little of yourself behind everywhere. You made a living at the same time…? Yes. Reviewing – lots of that. For newspapers and radio. Editing. Eventually working very happily a day a week at Allen & Unwin as their Fiction Publisher. I loved that. Writing Intimacy & Solitude. But it took me 6 years. Running Backwards was a real success. The pressure was on to write another novel then. But you can’t follow “good sense” with writing if your inner sense tells you something different. My commitment to Intimacy and Solitude was absolute. And that was a huge success? Yes it was. But the publishers [Heinemann] didn’t expect that. They kept reprinting every few weeks, or sometimes it seemed like it was every few days! They couldn’t seem to believe that this demand would go on and on. It was incredible. They had no idea how hungry the public could be for something that was, to use a beautiful Quaker phrase, “speaking to their condition”. It is impossible to describe what a relief it was that a book that took such effort met with such deep appreciation and gratitude from readers. That is indescribably touching. What did you learn from this success? That I am lucky enough to be writing about what eventually matters most to people – their personal and social relationships, their questions about meaning. This is an incredible field to work in. You can never run out of new things to know, reflect on and puzzle through. My subject matter never fails me. But – it is also extremely daunting to work with these topics. I take it seriously. I doubt myself over and over again. I spend months and months sometimes on a single chapter. The first section [on the Self] of Intimacy & Solitude took me a couple of years! Perhaps I wrote it fast, but preparing to write it took most of that time. There are many times when I wish I could be more pragmatic and just get on with it. But I can’t. I am an absolute perfectionist. I can let something go only when I believe this is the best I can do. Your books have all remained in print in a business where most books come and go rather quickly. Have your books always been reviewed well? No! I have had some great reviews that have delighted me but I have also had my share of horrors and hurts. I’ve come to recognise that some people seem to feel uncomfortable with books – and this is true of my novels also – that look directly and honestly at our emotional needs, our spiritual hungers, our passions and longings. Some of those people are reviewers! But I have had many lovely reviews too. I am not complaining. A review is inevitably a slice of autobiography as well as a comment on the book in hand. I try to bear that in mind!! And readers have been wonderful. I have had literally thousands of letters over the years from readers – deeply moving letters or just shouts of joy or companionship sharing very directly with me how much the books mean to them. They have truly kept me encouraged and uplifted. 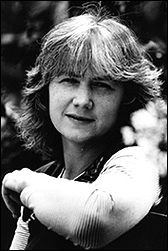 One of my more regular correspondents, for instance, challenged me when I was suffering with crippling repetitive strain injury and thought I may not physically be able to write again. She told me a story about a shooter who won a gold in one Olympics, lost his hand, and shot with the other hand in the next Olympics. And won gold again. I took up the challenge; moved my [keyboard] mouse to the left, and persevered. Think what I owe her. That little story sums up everything I think about encouragement: passing on the baton of goodwill and faith in one another. You write fiction and non-fiction. What’s your favourite? Both. Both genres are equally creative, difficult, lyrical, demanding. The exception for me was Tasting Salt. Writing that book was a joy. That time in my life was not a joy but writing the novel was. I hate facing the blank page at any time but somehow that book moved along almost of its own accord. It started with a short story. I don’t write short stories as a rule but was inspired to do so by a character I called Cordelia – very loosely based on a real person, Barbara Manning. Months later, the story demanded to grow into a book. I loved the central character Cordelia so much. The work on that book kept me emotionally alive during a really bleak time. That, and my children and my friends. And my faith. But no matter how much faith you may have you are still vulnerable to patches of bleakness. Faith has to stay alive through those times too. Faith too is not a simple experience. Probably not, but I do have a favourite year in terms of my writing life! In 1997 I was on the major national bestseller lists for a combined total of 26 weeks with Forgiveness and Other Acts of Love and then with my novel, Tasting Salt. I can’t imagine that I will ever achieve that again! What abundance! In fact it represented more than five years work. But it seemed like a huge amount of productivity at once. That followed the bleak time you mentioned. Do I dare ask how it could possibly happen that a writer about relationships finds herself in a personal relationship quagmire? I assume that’s what happened? Should we write only about what we can practise perfectly? In something as far-reaching as human relationships, or spiritual practice for that matter, I think there is as much to learn from tough times as easier times; perhaps more so. If my own life had not been created out of many different and sometimes difficult experiences there is no way that I could write my books in the way that I do. These books depend utterly on my having fallen down many times. But also getting up again – at least eventually! And always thinking, thinking, thinking. Eventually it’s how you reflect, what you can learn, and – in my case – what you can share, that counts. Do you regard yourself as a therapist as well as writer? Generally I say “writer” when I am asked what I do. I [used to] like practising psychotherapy very much and can imagine liking it more and more as I get older. It ages well! But it is not my primary calling. I see just a handful of people in any one week. I am not a psychotherapist who writes. I am a writer, who has also been actively interested in psychotherapy for three decades. I have had life-saving therapy myself, as well as some that was not so good. I have also had some excellent supervision. I have studied a number of approaches. I have learned a great deal from the research I have done for my own books. Each client is also a teacher. But I am aware – as I think all therapists should be – that I am an effective therapist for some, not for all. What’s your guiding value in life? Compassion. Kindness. Its presence or absence affects everything. Worry! Or the perfectionism that drives worry. It arises from self-doubt and leads to other things: weariness, impatience, self-dislike, etc. If I could wish for anything it would be a more sanguine temperament. Maybe in the next life? Last night at singing [Gospel singing with the Honeybees] we sang Tony Backhouse’s “When I’ve done the best I can…leave it in God’s mighty hand”. It sounds better sung than spoken, but that’s absolutely what I need to remember. Writing the books has helped. No doubt about that. So you write to help yourself also? Absolutely! I write to explore what I need to understand better or what I need to put into practice with more understanding – and I am now quite confident that what I need to know is not unique to me; it’s part of the human condition, of what we share. There have been countless times when I could have wished to have almost any vocation but this one. Writing books is physically and emotionally difficult. To write books that are worthy of this sublime subject matter is very difficult. Yet when I survive those moments of anguish and insufficiency I am also aware that my entire adult life has been a continual process of education, experience and reflection. And never more so than in the last 20 years. That is an exceptional blessing, don’t you think? Do you feel that way about your teaching also? There are times when I have a teaching or workshop engagement coming up, and I want to avoid it or feel daunted by it. But when I get into the work that I am preparing for others, I am always lit up or re-inspired by it myself. Yes, cautiously. I am a rather inactive member of the Religious Society of Friends (Quakers). My teacher of teachers is Christ. I am not always comfortable however with calling myself a Christian. I am uneasy with dogmatism – cautious that even “Interfaith” can become another label. I believe we have many ways to know God, or the Divine. I am also very concerned about the effect of spiritual practices; do they actually make us any more thoughtful, any kinder? Without that, I doubt their value. Overall, I am immensely grateful to live in a time where we have respectful and direct access to the great mystical teachings of all the world religions. This is unprecedented in human history.It’s a wonderful time to be alive. We have chosen to leave this interview up on the site as it contains some useful historical information for readers who may be interested. The greatest change since that interview was done is that my beloved children have become fine independent adults. In 2005 I was ordained as an Interfaith Minister, making explicit my commitment to a ministry based on spiritual inclusivity. I am now in my fifth year of giving monthly interfaith services at Pitt Street Uniting Church. In 2008, I completed the work for a research doctorate with the Writing & Society Research Group at the University of Western Sydney, and in the following year, 2009, published the book that emerged from that work, In the Company of Rilke. This will be published in the United States by Tarcher/Penguin in 2011. Writing books remains my central work. 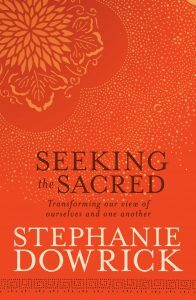 In 2010, I am publishing Seeking the Sacred. It’s a book that’s had a long, fascinating, sometimes mystifying evolution and is expressive of what I have learned in nearly three decades of intense writing – and all the research, reflection, prayer, heartache, occasional blissful inspiration and plain hard work that goes with that. Alongside the marathons that are book writing, I am continuing to write my “Inner Life” column with Good Weekend magazine, to work with International Women’s Development Agency and with Breast Cancer Network Australia, and to give talks and retreats more widely than ever.